These spacious studios in Mykonos of Cyclades Studio Complex, is the ideal option for families who search for inexpensive family accommodation in Mykonos Island, Greece. 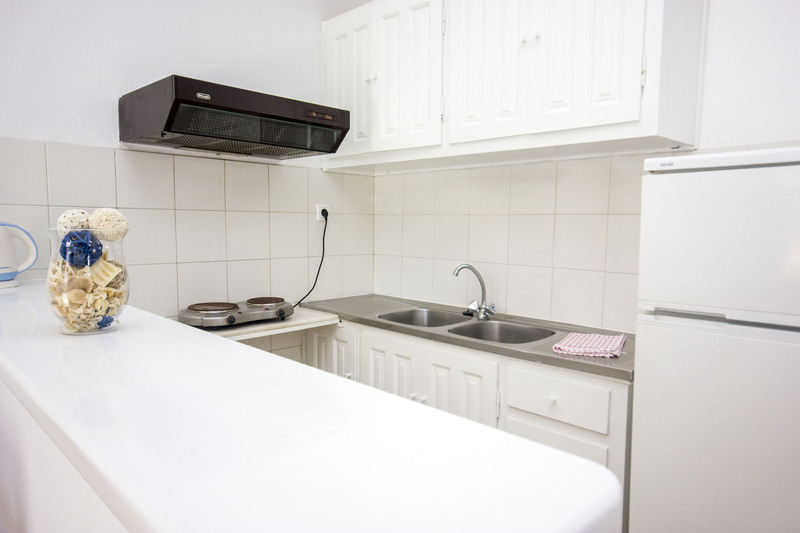 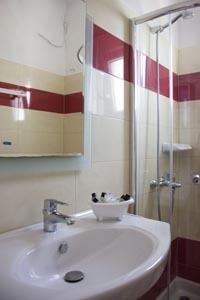 The capacity of the studios is up to a family of 4 persons, providing a small kitchenette for the necessary family cooking. 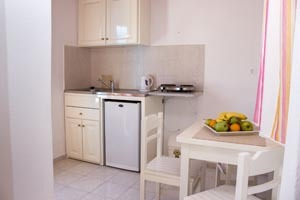 Furthermore, there is a big supermarket very nearby the studios, for the daily supplies needed for a family. 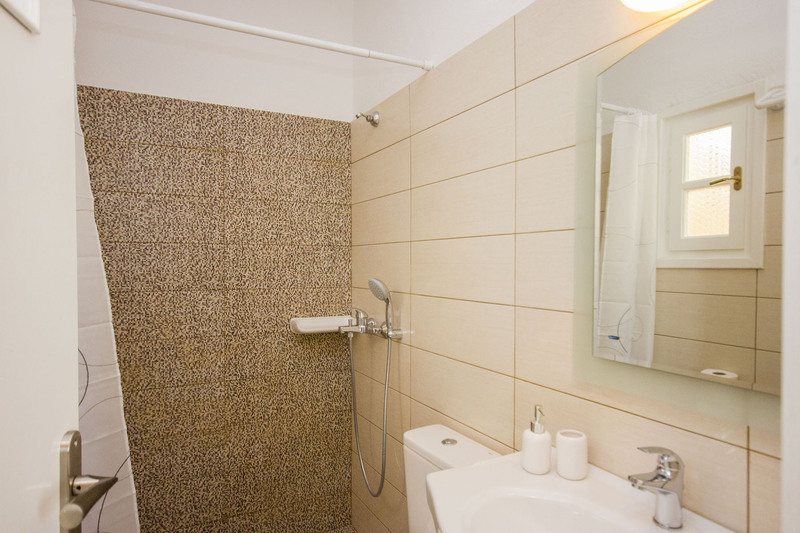 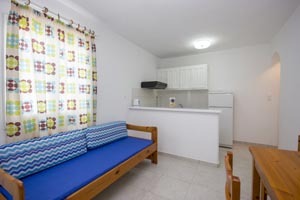 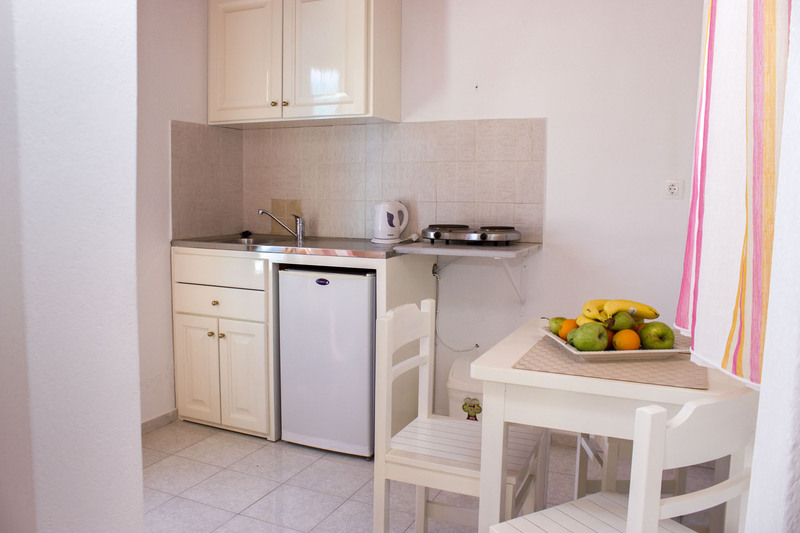 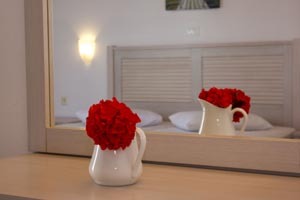 These studios are also a smart choice for groups of friends up to 4 persons, that prefer to share an open studio for getting a great value for money rate for a budget accommodation in Mykonos Island, Greece. 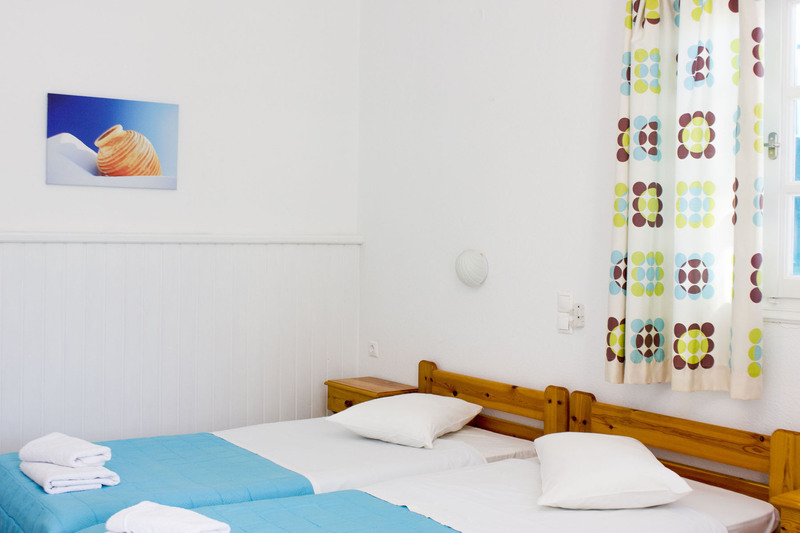 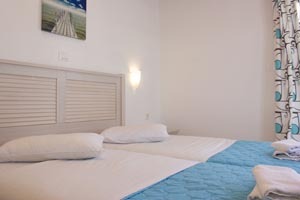 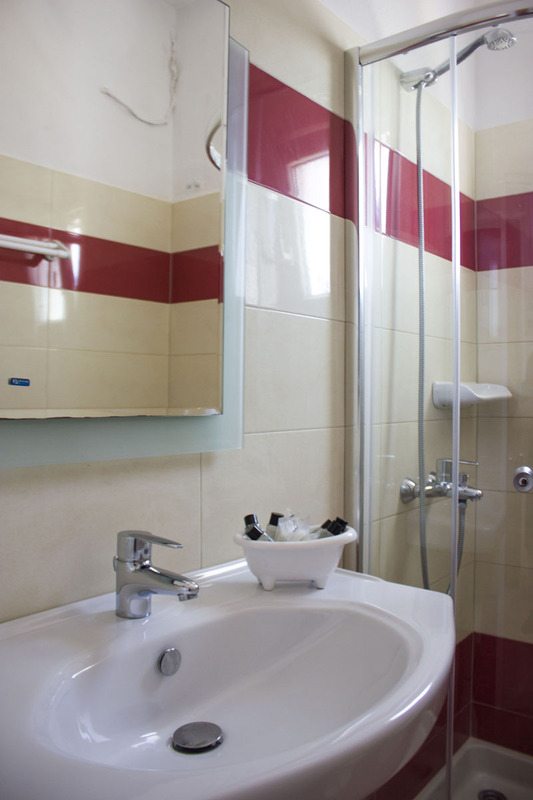 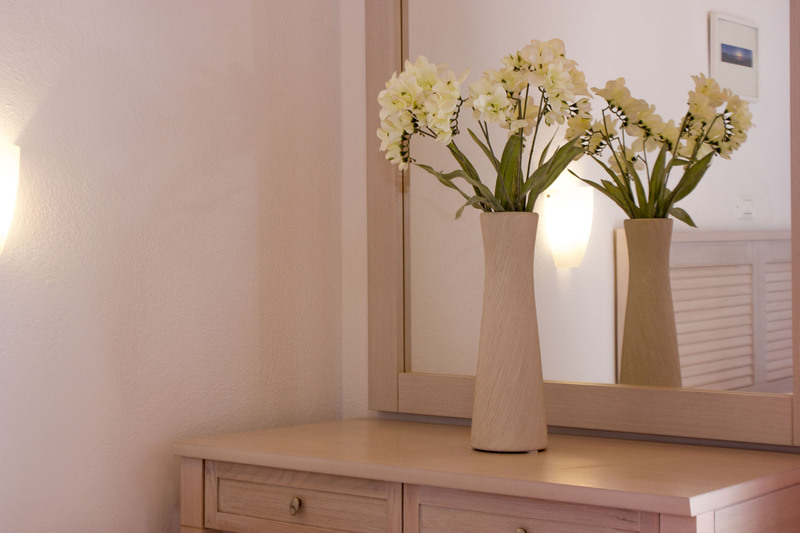 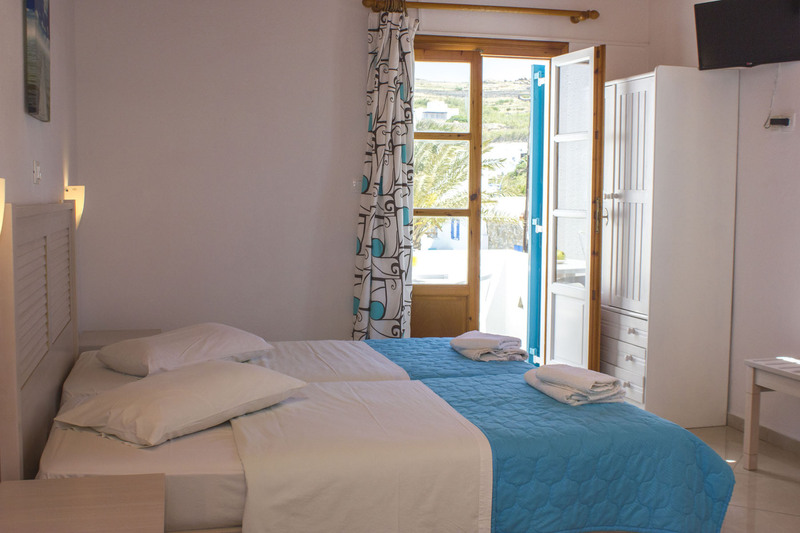 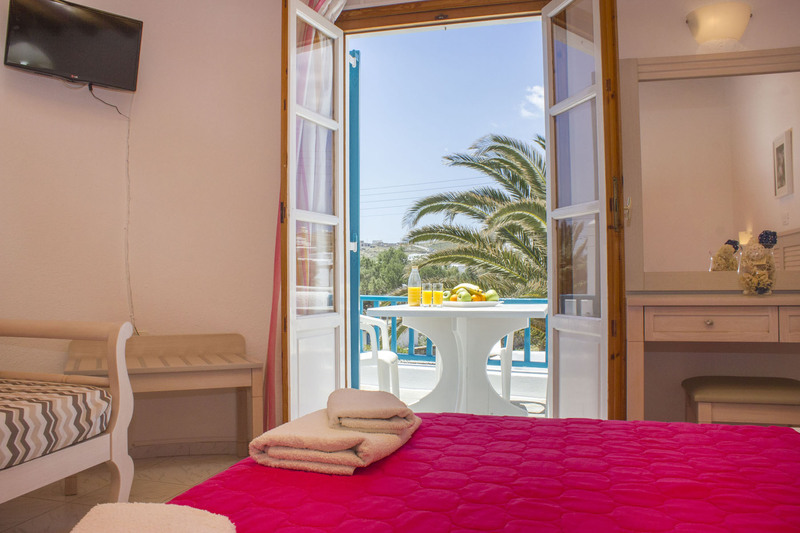 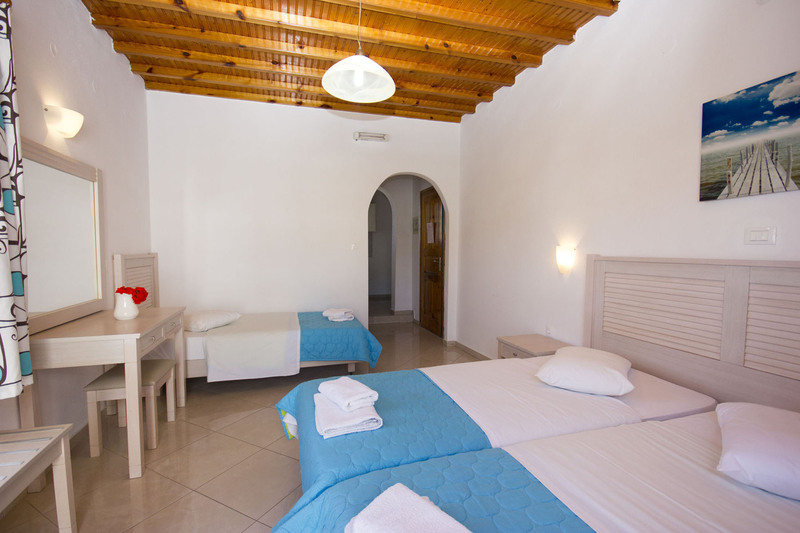 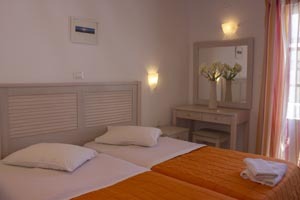 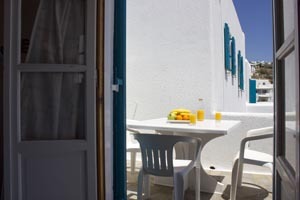 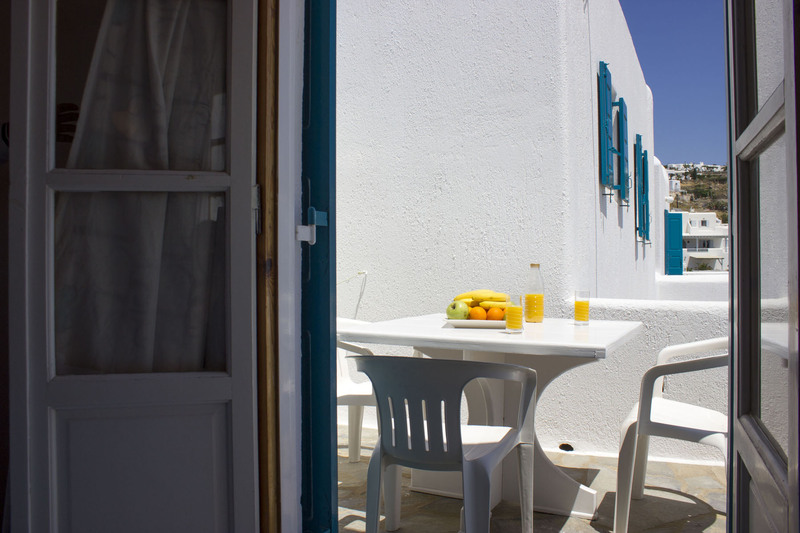 Cyclades Studios in Mykonos Island, offer wide range of studios from 1 to 4 persons suiting all needs, just a 2 minute walk away from Ornos Beach and the town center of Ornos Settlement.